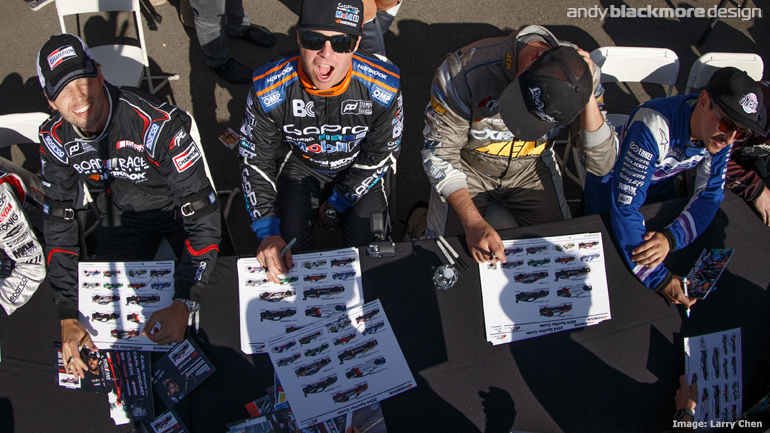 Hankook Tires USA recently commissioned Andy Blackmore Design to create a Hero Card for Formula Drift events featuring all 13 cars which compete on Hankook Tires. They were kind enough to allow me to share the art on SpotterGuides.com. Professionally printed Hero Cards will be available at the events, starting with the Long Beach round this Friday and Saturday (4,5 April). 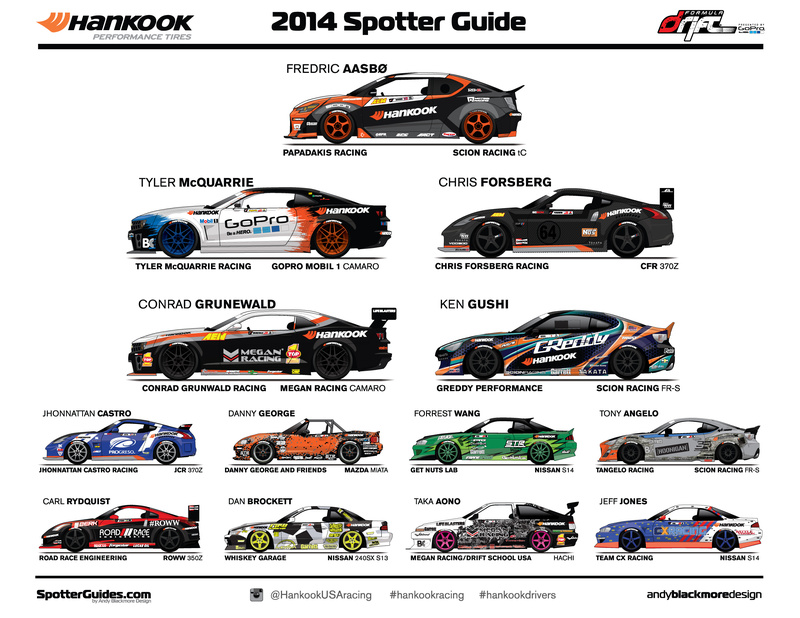 The guide also features three of the four cars I designed liveries for. First off an all new livery for Fredric Aasbo. Tyler McQuarrie retains his GoPro Mobil1 livery with a few small updates while I also created a design for Danny George a development of his previous design.